In Tally's world your 16th birthday brings an operation that turns you from a repellant Ugly into a stunningly attractive Pretty and catapults you into a high-tech paradise, where your only job is having a really good time. Just before her birthday, Tally discovered that turning Pretty comes with a terrible price. She vowed to accept the operation but with the understanding that her friends on the outside would rescue her and let her be the guinea pig for the experimental and highly dangerous cure they're developing. great follow up to Uglies. I absolutely love the story of Tally. 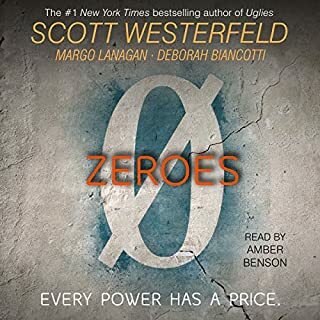 I've been anxiously awaiting the release of the next book on Audible. it was such an enjoyable story. 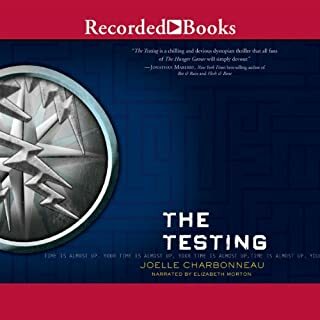 Good book...certain parts I found were unnecessarily lengthy and others were quite predictable but overall pretty well written. I'd recommend this book to ages 12-17. As with the first book the narrator's voice is so expressive and she makes you want to keep listening. Also the story line continues on perfectly from the first book! If you liked Hunger Games or The Maze Runner series you will definitely like this. Start from the first book though so you can get the full background on what is happening. if you start with this book toy may not fully understand what is going on! Get this book and your won't be able to put it down! 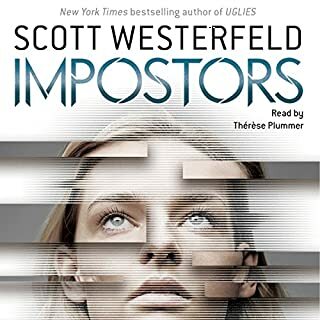 I was skeptical when I began this book as to whether I'd enjoy it but contrary to most sequels the second book is even better with a surprising twist at the end. Great followup to the first book. The transition to Tally being pretty was good and I loved experiencing her growth. The triumph over the brain lesions, new adventures, and a love triangle make this book exciting! I only had one minor irritation. As with the first book, we hear over and over again how much the author cares about environmental issues. I GET it. I enjoyed the characters and thought they made sense with the exception of Mandy's irritation with Tally. What adult would be surprised that a teenager, and a brainless one at that, wouldn't quite understand the pills or would misuse them? 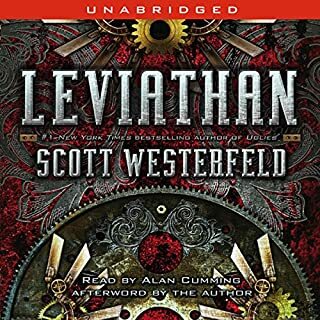 Good narrator but not much difference between voices. Overall another great book, can't wait to start the next one! 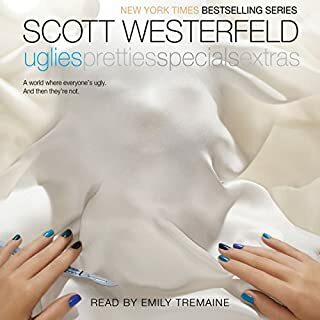 Would you consider the audio edition of Pretties to be better than the print version? I just finished this book. I listened to Uglies and Pretties in 3 days while on vacation. The narrator was amazing. Her voice was soothing and wonderful, with just enough difference for each character to keep it from getting boring. The storyline, of course, has always been unique. Becoming pretty by surgery at sixteen as a fact of life is insane. That everybody who didn't surge was considered ugly and crazy just seems unreal. The characters seem so real. Everybody has their own personality and just seems to become real inside your brain. If you are looking for a great new series, look no farther. In Pretties, Zane was one of my favorites. He seemed so different and mysterious. A pretty with a brain. I wish half stars were an option because if it were I would give the story of This Book 4 and 1/2 Stars. I enjoyed it thoroughly. It was reminiscent of the giver but not totally. The first two books were a little bit on the juvenile side unlike most modern youth books these days, the post-apocalyptic stuff that we're so used to reading.... that we all LOVE.... but it was excellent. It was just seemed at times a little silly but I guess thats what you get for books called pretties, uglies, ect... the concept or word silly seems to fit in perfectly. I would recommend to anybody great read.... fast read..... closed the book wanting more. i loved it. I always have. it's the best book I have read so far. A great book full of useful information and an amazing storyline. 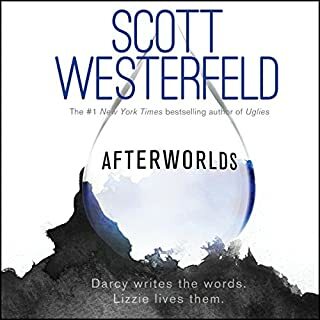 Westerfeld never fails to please! loved it and couldn't stop listening to it. I recommend this book to fantasy lovers.